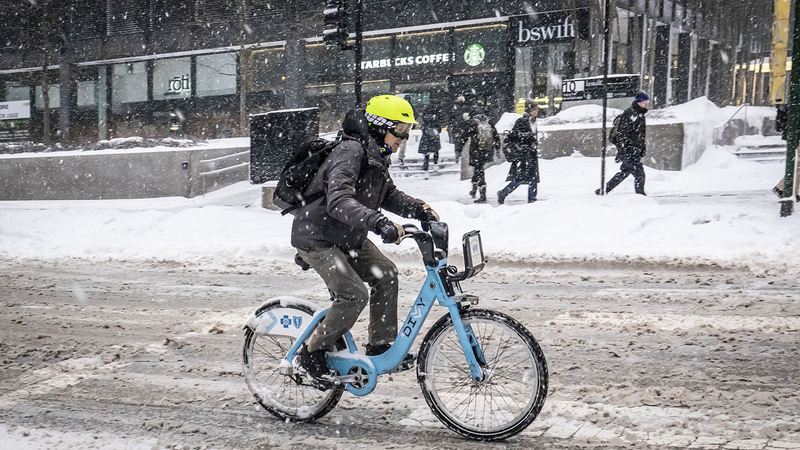 With temperatures nearing record lows across Chicago and the Midwest, frostbite can set in on exposed skin in a matter of minutes. But even with wind chills approaching minus 50 degrees, people often underestimate the cold, according to Dr. Arthur Sanford, Loyola Medicine burn and trauma surgeon. And not properly preparing for it can have serious consequences. We asked Sanford the best ways to treat and prevent frostbite during this week’s polar vortex. Exposure to extreme cold reduces a person’s blood flow to the surface of their skin. The body will work to keep the head and internal organs warm, but this leaves extremities further from your heart – like fingers, toes, nose and ears – more susceptible to limited blood flow, which in turn can lead to the freezing and death of skin tissue. What are the effects of frostbite? There are stages to frostbite, Sanford says. People can go outside in extreme cold and not immediately suffer “catastrophic” or non-reversible injuries. An affected area may initially be hypersensitive or begin to hurt, according to Sanford. That may be followed by a “prickling” or a “pins and needles” sensation on the skin. But the longer you’re exposed to cold, those sensations begin to go away. “That’s sort of a bad sign, when it gets numb and then blisters form,” he said. At this point medical attention is immediately necessary and treatment may be needed from a burn center or another health care facility. Even more exposure will then lead to permanent damage, with tissue dying and skin turning black. “Once it’s black it’s gone,” Sanford said. How quickly can frostbite set in? With wind chills as low as minus 50 to minus 60 degrees, the National Weather Service says frostbite can set in in as little as five minutes on exposed areas. But that’s something of a generality, Sanford said, and more vulnerable people like children or the elderly may begin to show signs even sooner. Those with medical issues like poor circulation are also at risk. What should you do if you’re suffering from frostbite? Re-warming is the most immediate need. Skin that may be showing signs of frostbite should be run slowly under warm, not hot, water. Because sensation in those areas may be dulled, hot water could actually exacerbate the frostbite and add additional burns. It’s also best to avoid going back out into the cold after fully re-warming affected areas. Medical treatment for severe cases of frostbite can include what is basically a blood thinner, a clot-busting medicine to help restore circulation to affected areas. Sanford says the most important step is avoiding exposure to the extreme cold if at all possible. If you do have to go outside, dress in multiple layers and stay dry. If an outer layer like a sweater or socks gets wet, it should immediately be removed to prevent freezing at higher temperatures. Wet socks are especially dangerous because they can lead to a condition called trench foot, which results in poor blood circulation, tissue decay, infections and even amputation. You should also avoid alcohol, according to Sanford, not only because it impairs your judgment, but it can also alter the circulation in your skin.